Ski, slide, skate, snowmobile – then find some hot cocoa and a crackling fireplace. 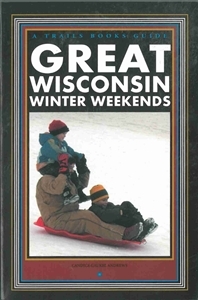 That’s the surefire cure for cabin fever, and here’s your guide to winter weekend excitement throughout the Badger State. Twenty-one complete itineraries show you what to see and do, and where to eat and sleep. Includes listings of winter festivals statewide. 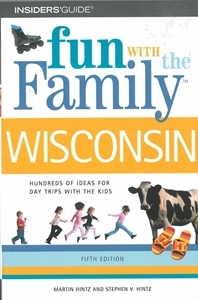 Popular public radio show host Michael Feldman and coauthor Diana Cook introduce Wisconsin's weirdest, wackiest, and most outrageous people, places, and things including a man who owes his life to a foam rubber cheesehead, a worm that plays basketball, and the best place to savor chicken in a hubcap. 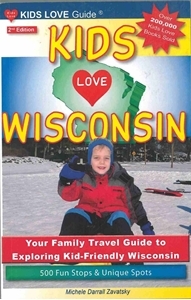 Make traveling with kids an enjoyable experience with this guide to great family adventures. 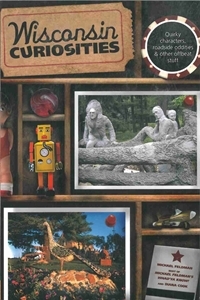 From rainy day activities to great winter escapes, this book features day trips as well as weekend excursions. Pack the car and enjoy some time away with the kids. 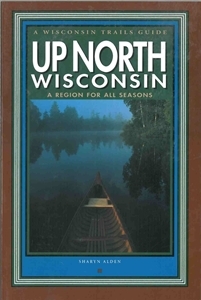 Relax in the quiet beauty of Wisconsin's North Woods, exploring pine forests and charming small towns. This guide provides information on where to explore, dine, stay, and shop as you journey northward. 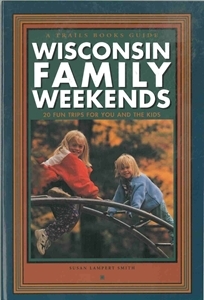 Discover fun things for the whole family to do in Wisconsin. Check out the Packers Hall of Fame in Green Bay, explore the complex of buildings designed by Frank Lloyd Wright in Spring Green, and watch international pros fly through the air at the Snowflake Annual Ski Jumping Tournament in Westby.